The Town of Leland is located in 28451 within 10 minutes from Downtown Wilmington across the Cape Fear River easily accessible by the Cape Fear Memorial Bridge or Isabel Holmes Bridge. This town has gotten a lot of notice and is rapidly growing with residential and commercial. Low taxes and a variety of new neighborhoods make this an ideal place to search for a house. Leland, North Carolina is the definition of small-town bliss. Nestled near the coast of southern North Carolina, Leland homes are in the perfect location for anyone who wants easy access to great golf courses and yet still be close to the beaches. Many Leland real estate owners love to golf at the scenic Cape Fear National golf course. This state of the art course is perfect for any skill level. 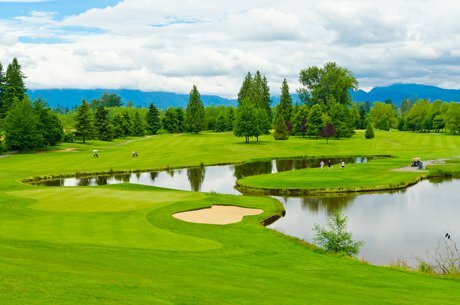 It offers touchscreen GPS golf carts and features gorgeous views of nature. There is also The Forest Restaurant at the course that one can dine at or rent to host an event. For more information on this beautiful course, click here. When you are new to a town it can be difficult to find the right real estate location on your own. Leland is Real Estate 28451 is also the same zip code as The Town of Belville. One of the huge bonuses about this area is the low taxes. Here are a few popular places to live in Leland NC. When traveling from Wilmington get off the 1st Leland Exit and take a Left turn. This is you'll travel just a few minutes before reaching a very pretty and popular Brunswick River Park. This park has gone through some wonderful changes over the years with its nature paths and access to the river. Boaters will be delighted to know there is a boat ramp here for the public use. As you travel down 133 some of the neighborhoods on the left offer boat slip with their houses such as beautiful Highland Shores with its custom homes set in a privately wooded neighborhood on the edge of the river. On the right side of 133 are popular neighborhoods like Olde Towne that doesn't have HOA dues or rules or the huge family-friendly Mallory Creek neighborhood with homes starting in the low $200,000 and low HOA dues or Westport with lawn maintenance included. Mallory Creek and Westport have an extra bonus because they have a road that connects it to the popular Golf Course neighborhood, Brunswick Forest. When traveling from Wilmington and off the 133 exits if you had turned right off the ramp it would take you past grocery stores, restaurants, the Leland Library, and the Post Office. This area has a mix of older and new homes. This area is booming. It started with Magnolia Greens Golf Course community with houses, townhouses, and condos. Magnolia Greens has 2 outdoor pools, an indoor pool, a workout facility, playground and championship golf course. Waterford of the Carolinas came next with its waterfront houses on the canals and lake. Waterford offers a very unique lifestyle with its miles and miles of canals. Why head to a neighbor's house in a car when you can kayak there? Brunswick Forest has been the largest development so far with it's an abundance of amenities such as the 100+ miles of trails, indoor and outdoor pool, 18,000 square foot Fitness and Wellness Center, Pickleball Court, 18 hole champion golf course, and the canoe and kayak launch facility at the River Club. Some may feel it's a little further from the core of Leland but we're sure that the town growth is heading that way too. Currently, the most popular neighborhoods in this area are Windsor Park with home prices starting at around $140,000 and Compass Pointe with lots for sale and houses for sale. Whatever area you choose to live in we're confident we can help. Regina Drury lived in Leland for 7 years and has a lot of knowledge of the area. Regina Drury Real Estate Group would love to help you with your search for your next home.